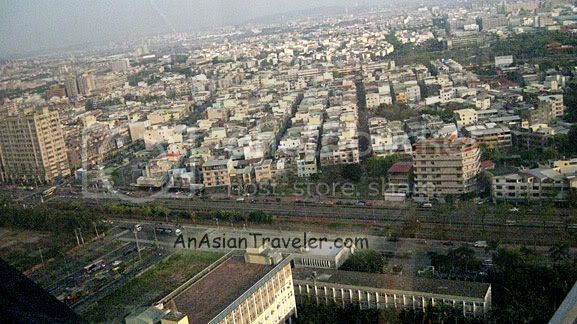 Even though Happy Theme Park may be geared towards younger children, I personally love the Hello Kitty and Sanrio Ferris Wheel or also known as "Kaohsiung Eye". As a matter of fact, we lined up twice for the Ferris wheel ride on two separate days. 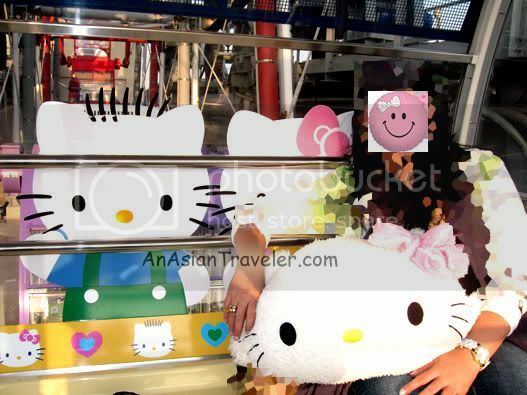 (Obviously we had no idea that HK ride was included in the Hello Kitty Dream package). 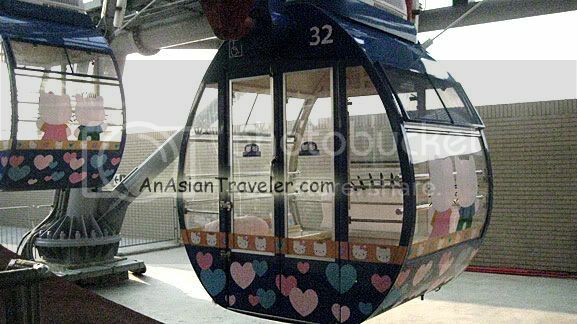 This giant Ferris wheel has thirty six carts and each cart is designed and painted with different famous characters of Sanrio. 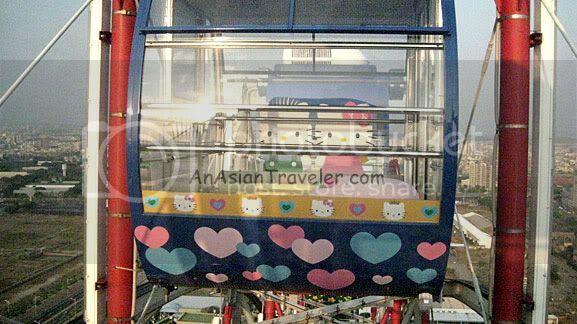 The Hello Kitty Ferris wheel is colorful as it consists of a variety of bright rainbow colors such as red, orange, yellow, green, blue, and purple. 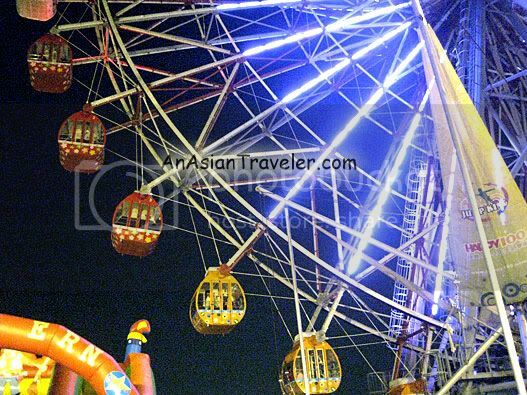 Visitors would probably appreciate more the Ferris wheel at night, as it has hundreds of different eye-catching neon lights with various colors that create nice effects. 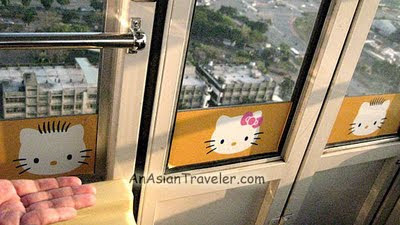 The Hello Kitty / Kaohsiung Eye Ferris Wheel is 102.5 meters tall, and a single rotation would take around 15 minutes. It's quite slow that you won't even notice it's rotating. I'm pretty sure even the scaredy cats and oldies will enjoy this ride. It's very safe. Park attendants always make sure the front door of each cart is locked outside. 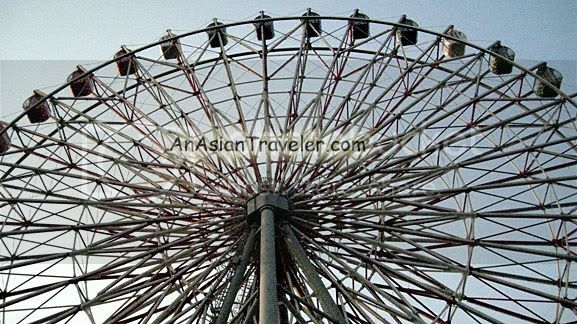 For thrill seekers this won't keep you pumping but this ride will definitely provide you with a breathtaking view of the city and the harbor of Kaohsiung. 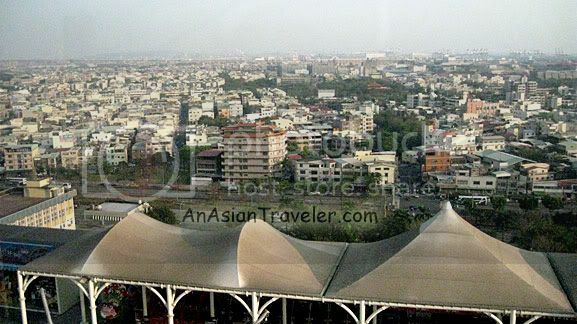 This Sanrio inspired Ferris wheel can be seen from the rooftop of Dream Mall. The wheel looks actually a giant one and the views are awesome! Great shots!! 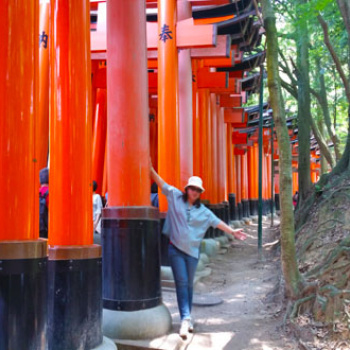 Blogtrotter is still travelling in Turkey, waiting for you there! Enjoy and have a great weekend! Wow! 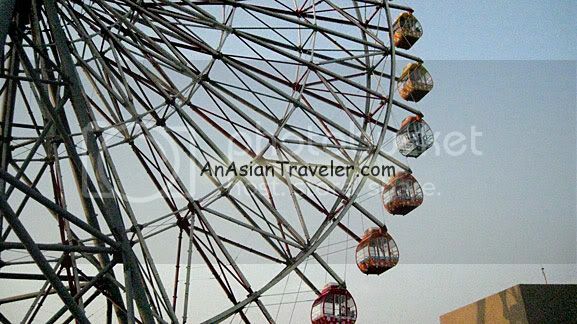 That's a huge ferris wheel!! !